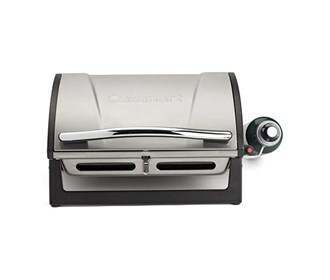 The Cuisinart CGG-059 is a grillster portable gas grill. 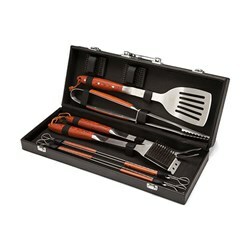 It is a streamlined, lightweight portable grill that can be taken anywhere. The steel-hinged lid and triple wall design create an exceptional, contained cooking area. With temperatures reaching upwards to 600 degrees, grill have plenty of cooking power for burgers, steak, seafood, vegetables, chicken or kabobs. When cooking is finished, save time and energy by tossing the enameled cooking grate into the dishwasher. 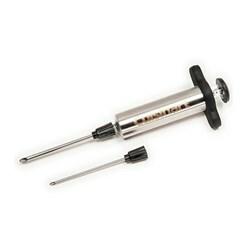 It tucks perfectly into a trunk and can be enjoyed anywhere. 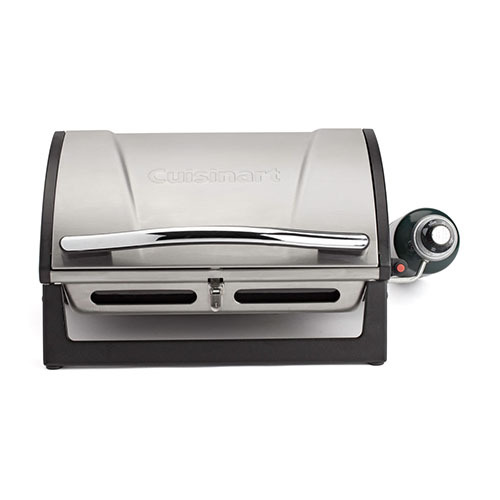 The Cuisinart Grillster Portable Gas Grill has many exciting features for users of all types. 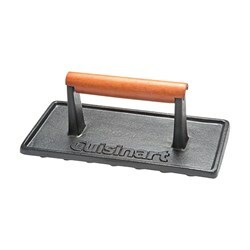 You can extend the lifetime of your Cuisinart Grillster Portable Gas Grill with the purchase of a FactoryOutletStore Factory Protection Plan. 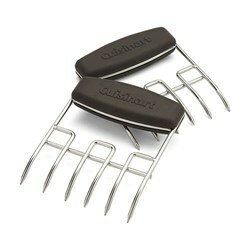 See the Cuisinart Grillster Portable Gas Grill gallery images above for more product views. 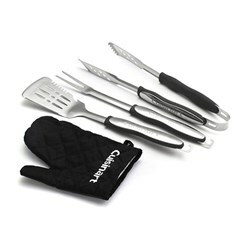 FactoryOutletStore stocks a full line of accessories like Cuisinart 10-Piece Premium Grilling Set, Cuisinart 3-Piece Grilling Tool Set with Grill Glove, and Cuisinart 3-Piece Professional Grill Tool Set for the Cuisinart Grillster Portable Gas Grill. 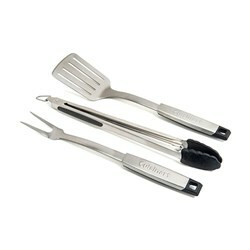 The Cuisinart Grillster Portable Gas Grill is sold as a Brand New Unopened Item.